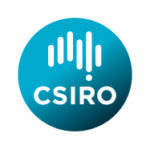 The Australian Resources Research Centre (ARRC) was opened in November 2001, when nearly 200 research and support staff from CSIRO and Curtin University came together with the vision of creating a petroleum and minerals centre of expertise for the South-East Asian region. With access to a vast research network, ARRC represents an environment in which scientists can interact, exchange information and explore new ideas in partnership with industry to ensure the ongoing sustainability of our resources industries, our environment and our way of life. The concept of ARRC was the brainchild of Dr Alan Reid who, back in the early 1990s as Director of CSIRO’s Institute of Minerals, Energy and Construction, recognised the opportunity for a centre such as ARRC in Western Australia. With many large petroleum companies moving their operations to Perth at that time, and with exploration and mining activities increasing in the state, it seemed that the future growth in these industries would be focused in WA. 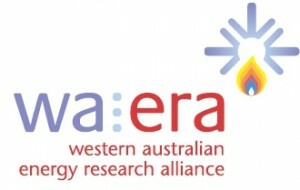 Recognising that a concentration of research and development capability, people and infrastructure would be required in Perth, Dr Reid, along with Mr Peter Bosci (formerly General Manager of CSIRO Petroleum Resources) and Dr Bruce Hobbs (formerly Deputy Chief Executive of CSIRO), entered negotiations with the Western Australian Government to establish a centre of expertise for petroleum, minerals and mining research. 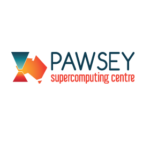 Great support was received from the WA Government. Negotiations began initially with the Hon. Ian Taylor (the then deputy Premier with the Labor Government), and continued with the Hon. Hendy Cowan (the then deputy Premier with the Liberal Government). Mr Cowan was the one who recognised the significant benefits of establishing ARRC and it was through his drive that ARRC became a reality. ARRC has enjoyed strong support from both sides of politics and by the time it was officially opened in November 2001, the Labor Government was back in power and Dr Geoff Gallop MLA, Premier of Western Australia, opened the centre.